It’s all about geometric shapes this fortnight and I want you to get creative to make learning fun with you and your littles. I’ve chosen this rather selfishly in light of the fact 2 of my 3 are back at school and Oren came home asking what a parallelogram was! There are loads of shapes to explore and they can be 2D or 3D so lots of opportunity for building, drawing and creating. You can use anything you like; natural bits and pieces, household items but I think open ended Babipur goodies will come in pretty handy too! A simple clay or dough activity. This works brilliantly for working on muscle tone and fine motor skills. Rolling out sausages to twist and turn into shapes or using cookie cutters and stamps to get indentations are all great fun. A tray of rice or sand to get some finger tracing of shapes or positioning wee marbles or beads. Grapat mandala pieces work beautifully with rice/sand as a base and this adds a nice sensory element. Stepping out from your basic geometric shapes like square, triangle, rectangle – you can add in hexagons, octagons, diamonds and not forgetting parallelograms! Recognition is great and these are all fun words for them to learn how to say as well. You can ask them to write down how many sides each shape has (cheeky bit of a maths) or send them off on a hunt to match shapes around the house. Start introducing the concept of angles. Squares have 90 degree corners, triangle corners all add up to 180 degrees. 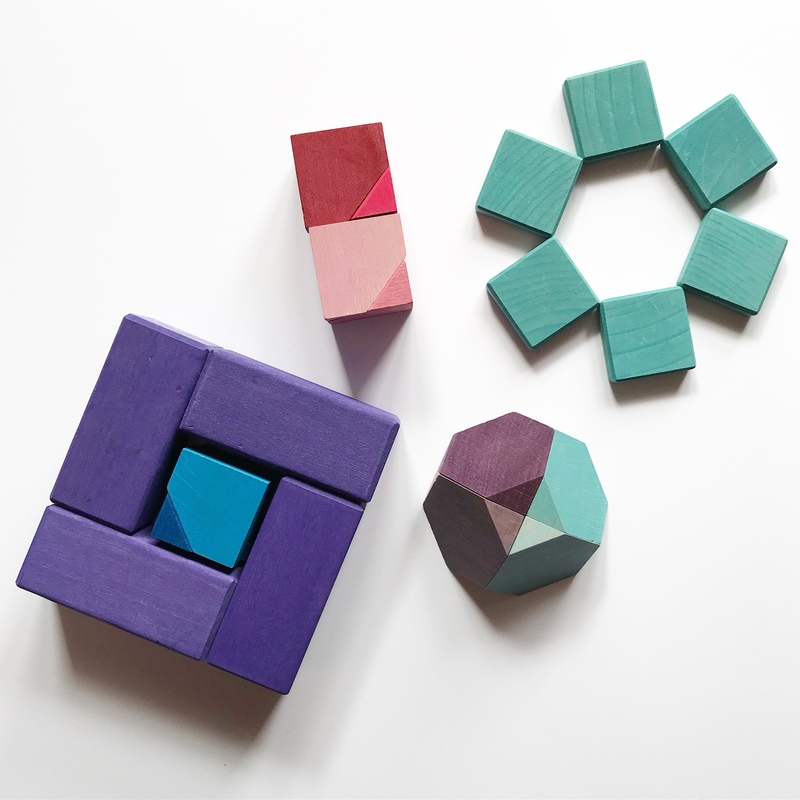 Maybe you could get your older kids to work on their spatial awareness and build 3D versions of their favourite shapes. See if they can make a pyramid with blocks or a diamond. Get them thinking which shapes fit best together and see if they can build structures using as many shapes as possible or using only the same shape. So you’ve got 2 weeks to show me your shenanigans with shapes and have lots of fun! The winner will receive the Bajo Blue Tangram as their prize! Huge thanks to Siobhan; the Eventual Mother for sharing this beautiful picture of it in action with wee Harrison! Multiple entries are encouraged and I look forward to seeing what you all come up with! I’ll leave you with a flamingo atop a pyramid made out of squares and rectangles! Previous Fancy calling him that?! Next Are you trying for a girl?